Montreal Comiccon is a great place if you want to check out upcoming games a little early. This year Sony had an excellent booth so I decided to check out Gravity Rush 2 for the PlayStation 4 which is the second instalment in the Gravity Rush series and coming to North America this December. The main character “Kat” will continue her adventure right where the first game left off. While I was waiting in line to play, I was mesmerised by the vivid colours and art style of the game; especially when you are shifting gravity and floating around the world. The demo that was available gave a quick showcase for learning most of the basic skills which include: manipulating gravity to pick up surrounding objects to then launch them at your enemies, or float in the air and ascend to different locations all while altering gravity to walk on walls and ceilings, you could float and perform a gravity kick to your enemies or do special attacks which has you bouncing around causing high damage to all enemies. The demo also gives you a chance to float around to get accustomed to the gravity altering controls. It also provided some combat against the Nevi who were the main protagonists of the first game. Are they still the enemy? A new feature to this game is the addition of two additional gravity styles – Jupiter & Lunar – which impact your character’s movements, attacks and look. Jupiter style will have you glowing yellow and makes your character more sluggish in terms of stronger effects of gravity; it makes you tougher and hit enemies harder, while lunar will have you glowing a pale white but will allow you to feel lighter which greatly increases your mobility, jump heights and general movement speed. 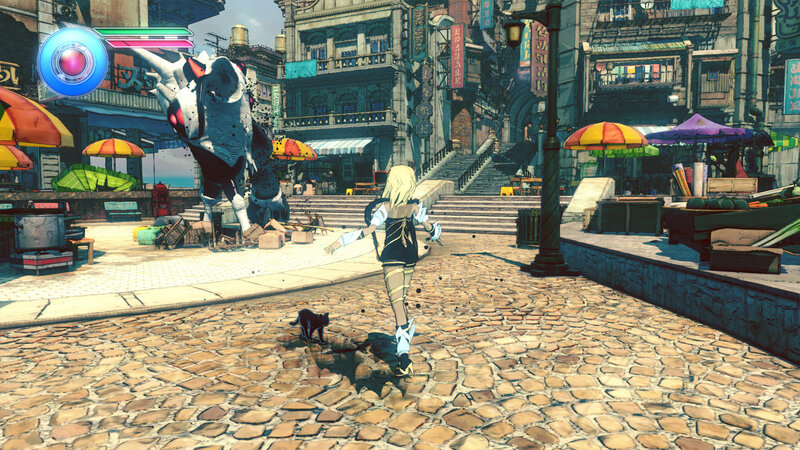 Gravity Rush 2 looks beautiful on the PS4 and anyone with the console should check this game out when it is released later this year. Nicholas MacDonald, gamer from birth, rumor has it he was born with a controller in hand and it has not left his hand since. Hailing from P.E.I, Canada he aspires to take up the cowl one day but until that day comes, he is an Architectural Technology graduate working in project management. He is a Simpsons fanatic, film buff and acolyte of magic (the gathering).